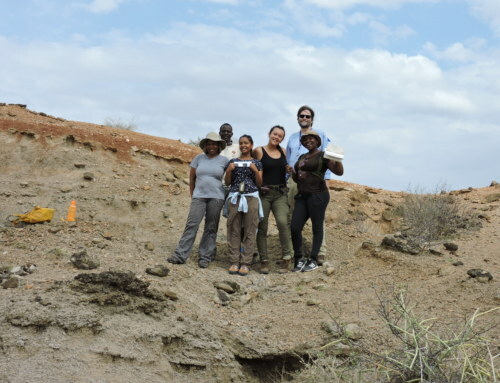 The Geology of the Turkana Basin course taught by Dr. Craig Feibel, Dr. Bob Reynolds and Dr. Greg Henkes started last Monday at TBI Ileret! We’ve been going out on many geological walks taking us back in time millions of years to worlds that are long gone but that have left their mark on the modern landscape. 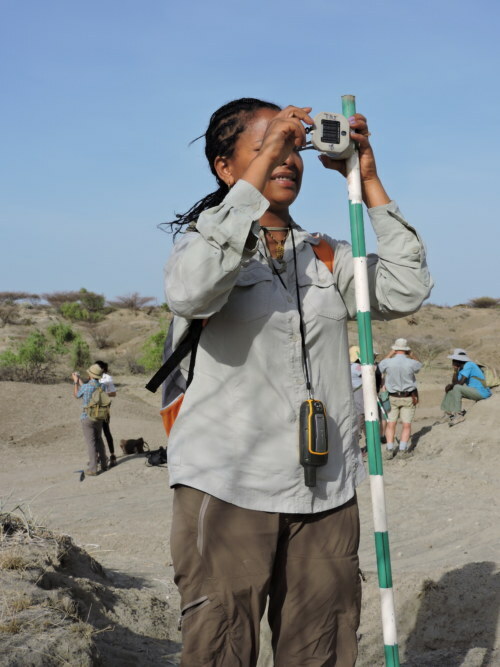 These mini expeditions have the purpose of training the mind and the eye in the fine art of reading sediments and rocks. 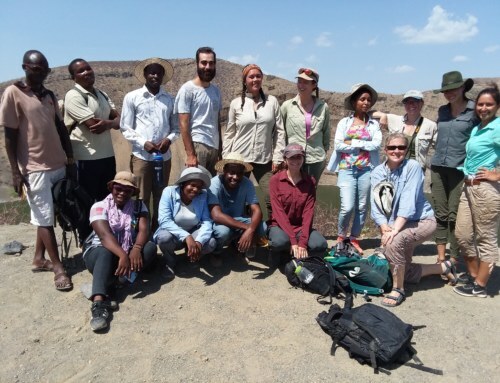 This training is crucial for both geologists and paleontologists, and it represents one of the most important tools in paleoenvironmental reconstruction. 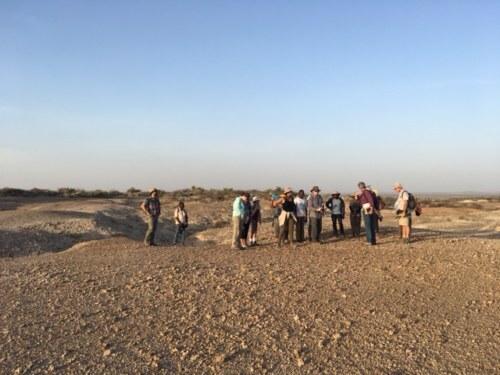 Many of our walks have also been the setting for lessons on geological mapping, as well as compass and GPS use. 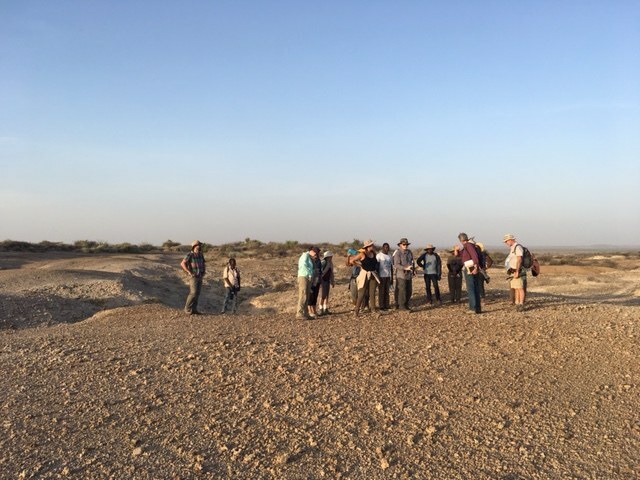 Area 6A, a locality with many fossiliferous deposits, served as the classroom for Wednesday’s morning lesson with the students doing their own slope profiles using the Brunton compass. Once comfortable with the Brunton compass and the GPS, students were divided into teams and took on the famous ‘Orienteering Contest’ in the afternoon. 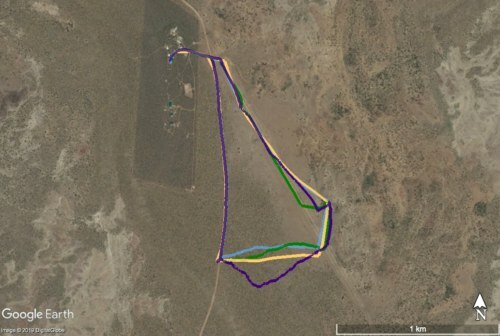 Each team was given a set of very precise instructions that had to be followed and recorded with the GPS with as little error as possible. Results of the Orienteering Contest. Each color represents a different team. 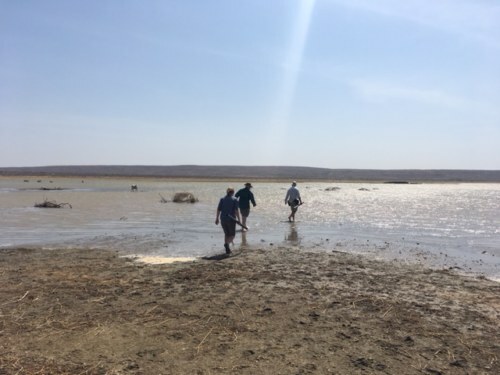 Throughout the week, students have also been developing their final project which consists on the reconstruction of a lake environment from a sedimentary layer known as the ‘Main Fish Bed’. 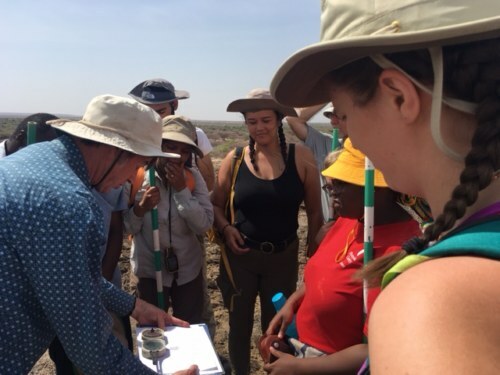 This project will require them to visualize an ancient environment based on the sediments and fossils that remain from it, using the tools learned during this module. 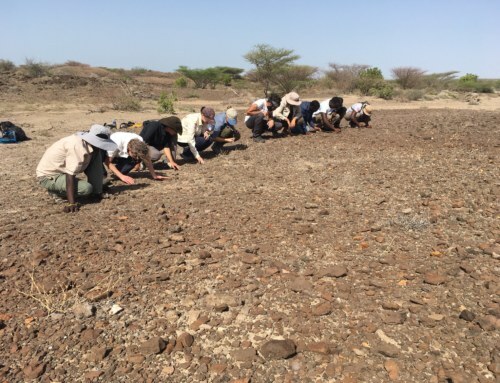 Our Thursday geological walk took us to Kale beach in the shores of Lake Turkana where more profiling was done and an introduction to sedimentary environments took place. That same day students spent some time at the lab getting familiar with the different types of rocks and minerals, learning the clues that can be recovered from each of them. 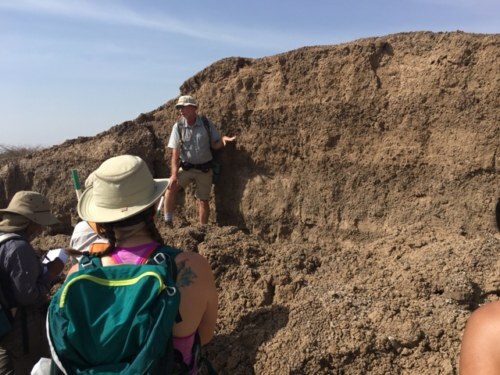 Putting these clues together requires the understanding of depositional processes, and a morning walk through the Tulu Bor Delta was the perfect setting for a lesson in stratigraphy and sedimentation. 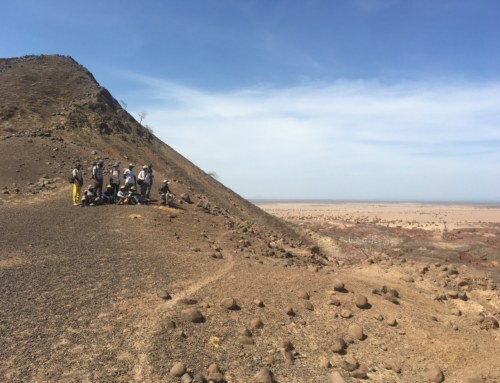 Witnessing a modern day delta environment not only serves as training in visualizing ancient landscapes, but also exemplifies a very important type of depositional environment. 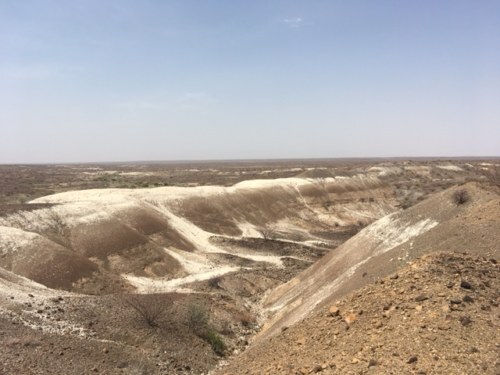 These deltaic environments are characterized by a high rate of sedimentation, increasing the chances of fossilization and turning them into gold mines for paleontologists. We finished our week exploring Area 13 and the ancient deposits of Lake Lonyumun. 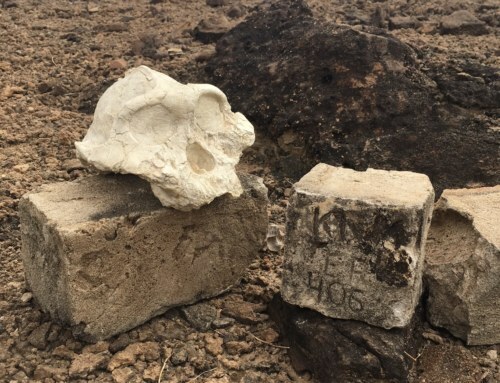 Sitting on the edge of what used to be the shore of the lake 4.1 million years ago, we contemplated this world lost in time and the clues that were left behind. We’re now beginning the last week of the Geology module which will bring many more lessons on how to interpret these clues. 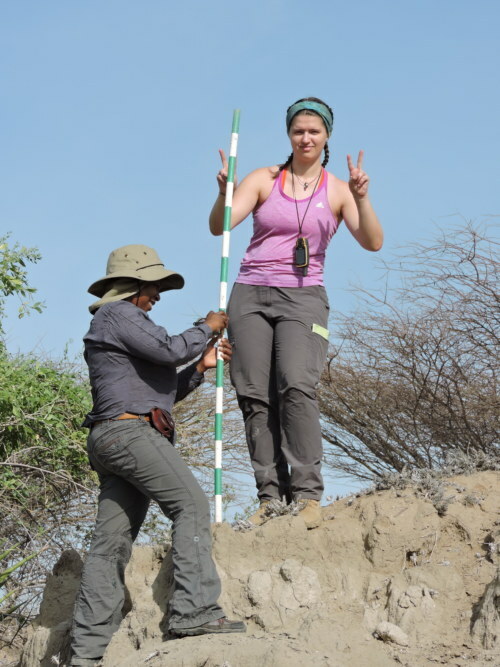 Stay tuned for more Origins Field School adventures!